Shorewood wrestling drove 135 miles on Friday to compete in the Willapa Harbor Invitational. Hosted by Raymond Jr/Sr high school, the tournament featured 16 schools ranging from the 2B (smallest) to 4A (largest) classifications. 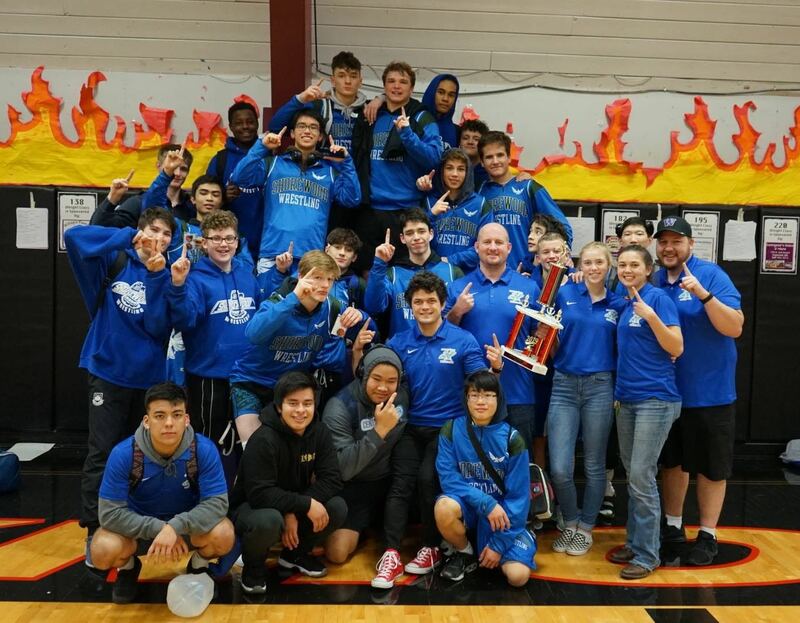 With 5 finalists and a total of ten wrestlers placing in the top 4, Shorewood brought home a team championship, outpacing second place Kennedy Catholic 184.5 to 161.5. This was the first team tournament title for the Thunderbirds since 2013. Leading the way for the Thunderbirds were junior Devin Leach at 145 pounds and senior Phil Ball at 182 pounds. Leach pinned all three of his opponents on the way to an individual title and is now on a 10 match winning streak since moving down to 145 pounds. Ball moved down a weight class Saturday after wrestling 195 all season and also picked up an individual title. As the only senior in the varsity line-up Ball has provided leadership for the team all season and has now made the finals in four straight tournaments, winning three titles. The coach is Derek Norton.